Want to organize an original birthday? Surprise your guests and make your holiday a memorable one? Every year on our birthday we are waiting for a miracle, but often limit ourselves, and everything’s going “as always”. 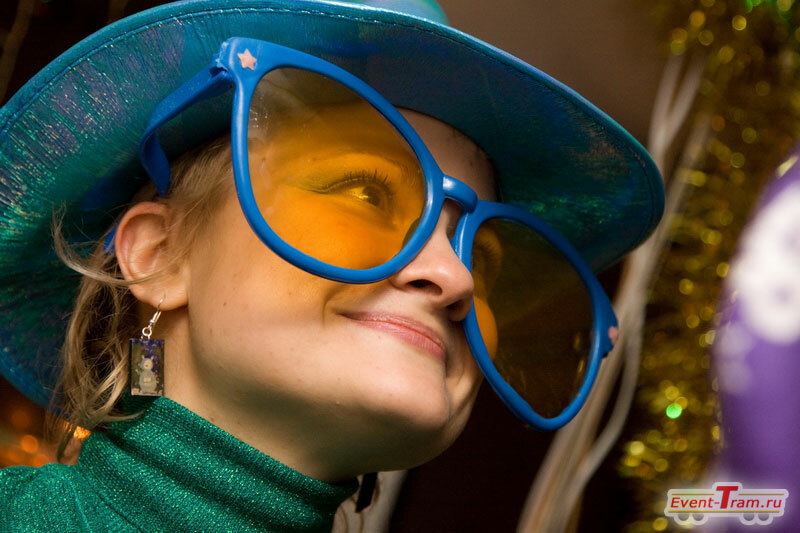 It’s known that we enjoy the holiday, when we get unexpected surprises and sensations during the party, then the event really captures us fully and induces vivid emotions. 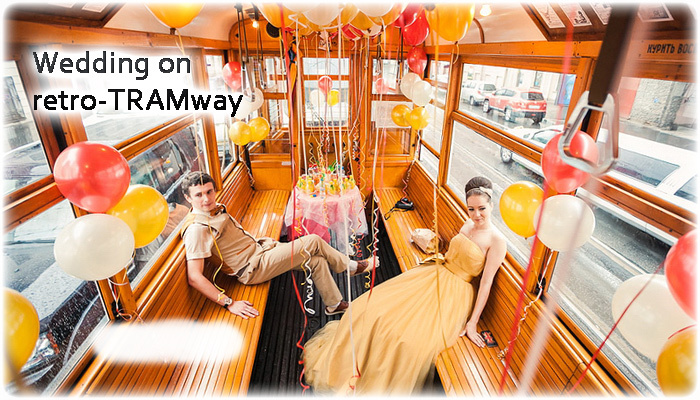 Make yourself a terrific gift – have the birthday celebration in a TRAM! 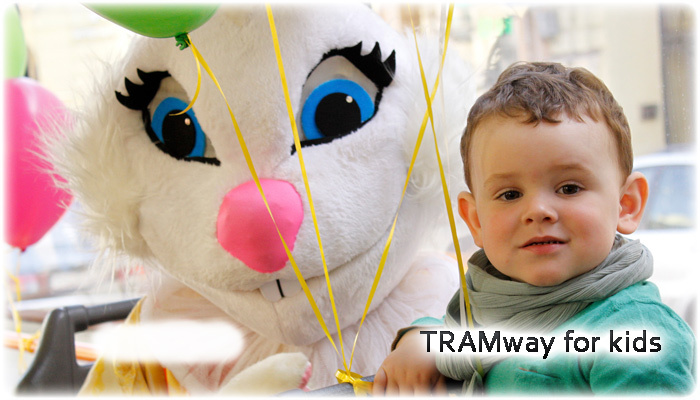 Trams decorated with the “stuffing” of live music, dancing, happy guests, festive treats. The organization of this event will be a great birthday gift for all the guests – such an atmosphere you won’t find anywhere else. 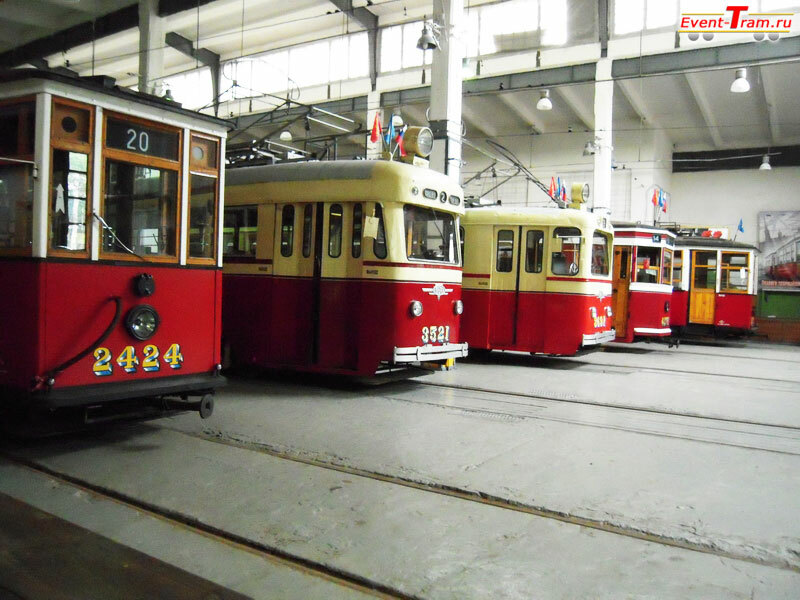 Your TRAM will travel on a pre-planned route, visit all the coolest places. 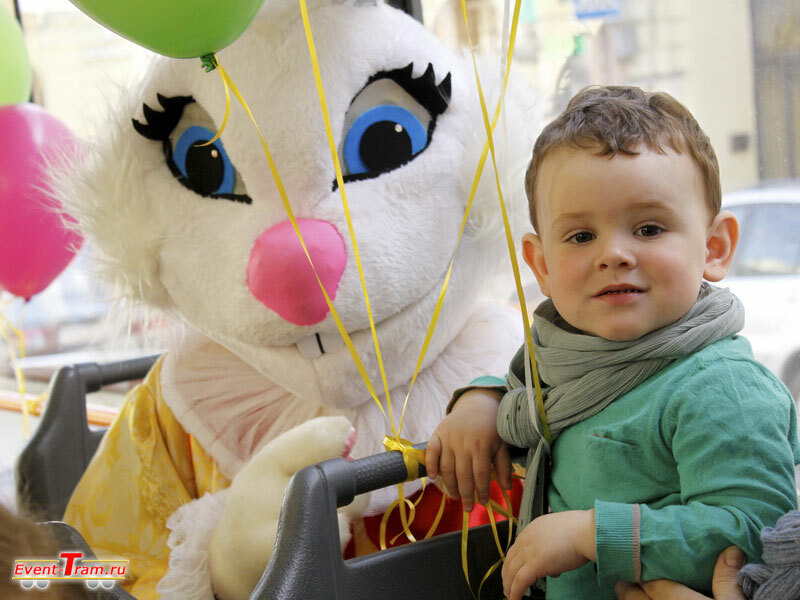 An original way to spend your holiday, bright and positive emotions throughout the celebration. A surprising and unexpected adventure for your guests, which will be the highlight of your birthday. A large number of seats allows you to take on board all the friends (one TRAM can accommodate up to 60 guests). What you need, to organize an event in the Tram or Trolleybus? 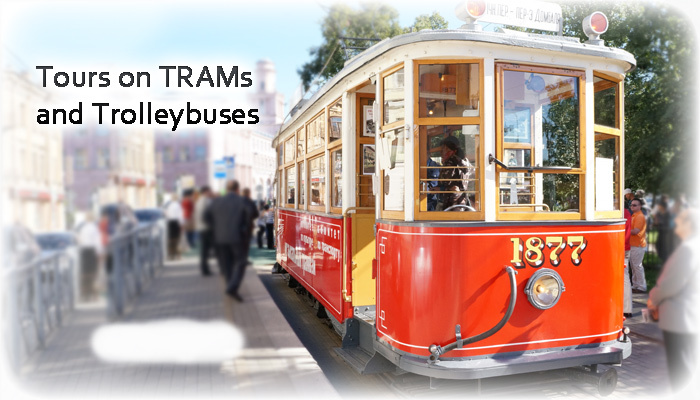 We offer you the trams and trolleybuses of different models and the internal configuration of your choice: up to 18 or 60 seats, retro or modern. Think about your wishes to the route: first of all where will be the point of the start and finish. You can choose from ready-made itineraries or to book your own (based on the availability of tram tracks), then together we will develop your individual path of the tram during the trip. Imagine the theme and the “filling” of the program. Maybe you’ll select a costume party, or entertainment program with a guided tour and quizzes, or it will be intricate series of games during the entire trip? Based on your wishes, we make a detailed script for your birthday and competently take care of the organization of your event. You can choose the artists for the event, or select additional services for your birthday. To order a turnkey birthday and other services for your event, as well as to ask any questions, call us or fill in the form and we will contact you. 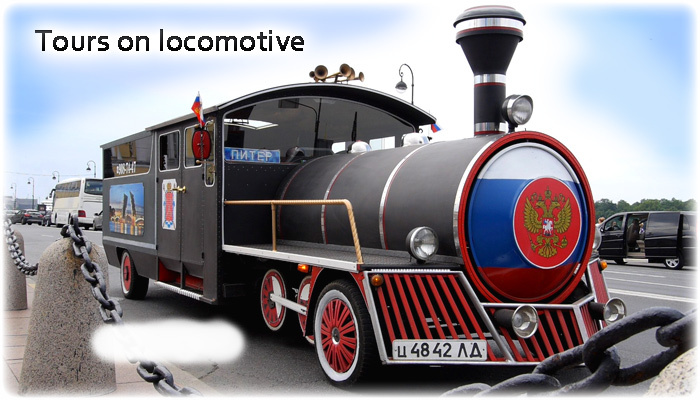 If you like the idea of ​​organizing a festival in the tram, then click “like” and join our groups in social networks.